Now, that video clip brings back a lot of memories. I would imagine that the bleepy fanfare that the unit kept playing would have driven many parents crazy! 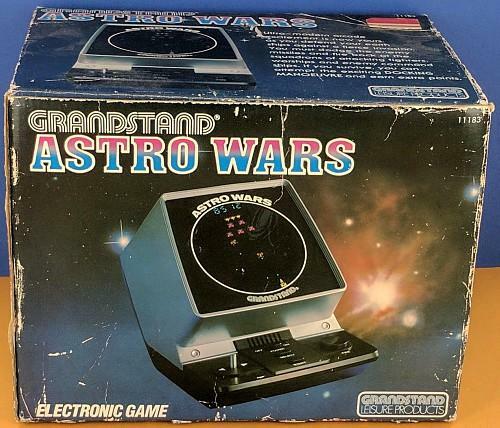 Released in 1981, the Astro Wars table-top gaming unit became very popular at my school. 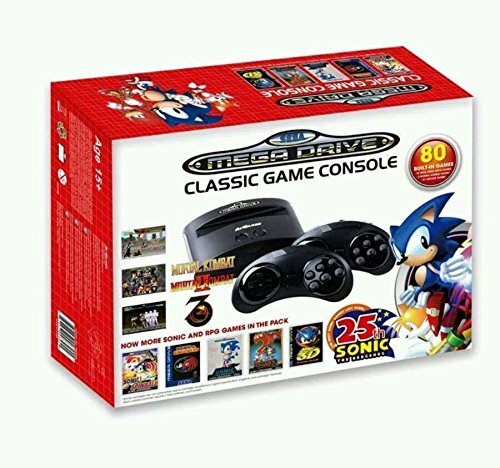 Not many kids owned one (that includes myself), but this meant as soon as someone placed one onto a school desk, a crowd gathered round in an instant - much to the annoyance of our teachers! The unit featured a slightly magnified LED display with colour - it used a vacuum formed display, which allow detailed coloured sprites to be animated on-screen - and the game itself was a shoot-em-up based on Galaxian. The main object of the game was to shoot down waves of alien enemies and try to progress through each level until you reached 9,999 points. That doesn't sound like many points, but the game became very fast and pretty impossible to play towards the end. I can't remember if anyone actually reached the end, but I'm sure there was some bright spark who managed it. I suppose you could loosely describe the unit as "portable", although you obviously couldn't carry it around in your trouser pockets. It was also much more convenient to plug it into the mains as it took four heavy D batteries, if I remember correctly. 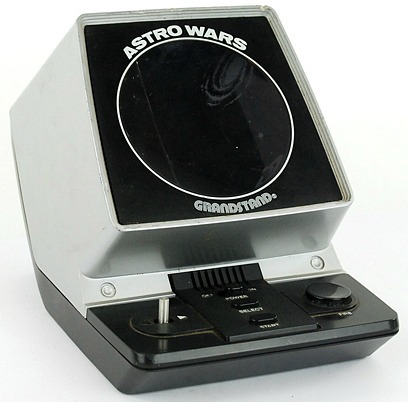 LED stand-alone games were popular between 1977 and 1983, but this unit wasn't manufactured for very long, and the following year the launch of the ZX Spectrum and C64 home computers meant that single-game video game units like this one were soon to become redundant. Nonetheless, it's another era in video gaming that brought a lot of pleasure to many thousands of young gamers. Grandstand created a wide range of portable video game machines including this Firefox F7 unit in 1983 which actually had stereo sound!